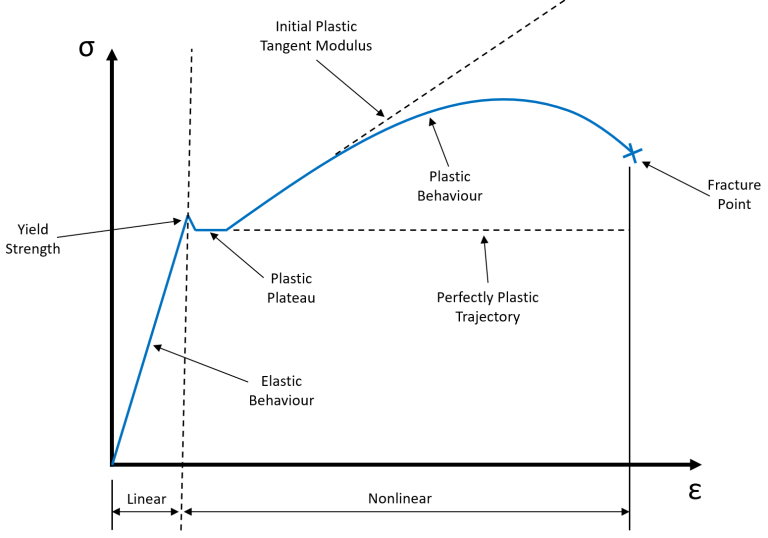 Often, the use of linear elastic models is not suitable for every type of analysis. There are instances when engineers want to understand the performance of their equipment once a component has exceeded its’ yield strength. The stress and deflection of a component is different once it has exceeded its elastic limit, so at this point non-linear solvers are required to capture these effects. Non-linear analysis methods are also used to demonstrate that the appropriate safety margins still exist for a structure, if it experiences loading beyond its elastic limit. This requires non-linear physical behaviour to be included in the analysis. We offer a complete range of non-linear finite element services, encompassing every type of mechanical non-linear configuration. Although Non-linear FEA can be time consuming, it enables engineers to understand their equipment when it is pushed to edge of its operational envelope.